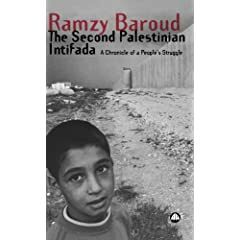 PEJ News - Ramzy Baroud - I am certainly not a fan of tyranny. I?ve spoken out against human-rights violations since my early years. In Cairo, I stood in alliance with students protesting government crackdowns; in Seattle, I marched for equal opportunities for African-American students demanding the preservation of affirmative action. I lived most of my life in a Palestinian refugee camp, under Israeli military occupation in Gaza. But seeing Saddam in that humiliating state, lying lifeless on a stainless steel table after what so many called a ?disgraceful and undignified execution?, provoked an array of emotions that I could hardly contain. Amid the anticipation and strange secrecy regarding the day of Sadaam Hussein?s execution, images of his lifeless body after his hanging flooded internet, the world media seemingly and conveniently forgot the tenants of international law regarding such images. Even such photos plagued my screen on Al-Jazeera that morning. Later, scenes of Iraqi Shia groups firing guns and dancing in the street presented a sensational image similar to the staged collapse of Saddam?s statue in Baghdad years before. Something seemed terribly wrong in this so-called act of justice. I am certainly not a fan of tyranny. I?ve spoken out against human-rights violations since my early years. In Cairo, I stood in alliance with students protesting government crackdowns; in Seattle, I marched for equal opportunities for African-American students demanding the preservation of affirmative action. I lived most of my life in a Palestinian refugee camp, under Israeli military occupation in Gaza. But seeing Saddam in that humiliating state, lying lifeless on a stainless steel table after what so many called a ?disgraceful and undignified execution?, provoked an array of emotions that I could hardly contain. Even then, I had no illusions: It was not the capture, trial nor execution of Saddam that engulfed me with these emotions; it was what the man represented or, perhaps, failed to represent. It was the fear of a future undoubtedly bleak, unforgiving. Saddam, in his eccentric ways, symbolized the last drive for pan-Arab nationalism. In many ways, he was unrivalled. He was one of very few who dared to stand up to what many people in the world see as a harsh and domineering United States. To many people living in the Middle East, Saddam Hussein was simply the "lesser of the two evils." Arab nationalism, even under the shabby state of the former Iraqi leader, remained important, for it represented the only collective political identity Arabs aspired to attain. Politically fragmented and easy prey to outside interests, many Arabs, especially in poorer countries, held tight to the fading dream of unity. But as the dream of unity was dying, irate alternatives were forcefully offered; the "Islamic option" had suddenly augmented from its minimal, symbolic presence to the only intellectual substitute to pan-Arabism. Both ideologies championed the recourse of revival, liberation even, from within, and a full-fledged unity as the only shield in the face of the self-seeking invaders from without. As youths growing up under a brutal Israeli occupation, my peers and I inanely believed that a collective Arab determination was the only solution to oppression and humiliation. Often, I went to sleep, during an Israeli military curfew in my refugee camp in Gaza, finding comfort in the thought that an Arab army could cross at any minute to set us all free from this prison. It never came. As I grew, I realised that things are not as simple and pure as once thought. Arab rulers were no Saladin, but in fact, they were just as guilty for their people?s plight as those foreign powers that see Arabs as faceless numbers, associated only with every negative stereotype one can envisage. Although I must admit that I was strongly moved by the last words Saddam proclaimed, calling on Iraqis to forgive, to strive to be driven by the love for freedom, rather than disdain for ones enemies. Of course these words also were disregarded by western mainstream media. I also learned that in the West, we Arabs are for the most part, all grouped together, in a camp of "hostiles" who must be "contained," regardless of the price of such containment. I learned that many in the West have forgotten that Iraq, the "cradle of civilization," contributed much to the world, including algebra, chemistry, astronomy, physics and a revival of the Greek language critical to the Renaissance in Europe. I learned that they had forgotten this, and believed that Iraq, and the Arab world in general, was only capable of producing tyrants and terrorists. In Gaza, my sorrow of losing countless friends and family members to the Israeli occupation forces was the shared destiny of well over one million refugees in Gaza?s camps. With each new innocent casualty, the desire for a collective Arab will became stronger. But time has passed, and the dream of a collective Arab will has yielded to collective Arab chaos. Despite the uncertainty awaiting Arab nations, most Arabs were never so clear as to the source of their misfortune. They loathed the imperialism that finally culminated in an up-front invasion of the prized "jewel of Arab civilisation," Iraq. They protested "client regimes" and subsequently marched behind (irrationally, may I add) whomever disassociated himself from such a rule. Maybe this explains the reason behind the love-hate relationship many Arabs had towards Saddam: He was a brutal dictator, and yet he defied the United States and its imperialist designs in the Arab world. It was not hard for me to fathom why many Iraqis celebrated when Saddam was executed, while others vowed to carry on with their attacks against US-led occupation forces. That same paradox struck me watching Saddam?s glum photo on my computer on that morning of uncertainty. I paused to gaze at a 9-11 memorial poster hanging on my wall, anxiously considering the devastating repercussions that could stem from collectively disgracing hundreds of millions of people. Regardless of what Arabs and Muslims around the world felt of Saddam?s history and leadership, his capture, his trial and undignified execution were a collective humiliation for us all, a humiliation that will not be forgotten for perhaps many years. And sadly, this international public spectacle has the potential to reap devastating ramifications. It seems that fear and uncertainty are, sadly, among the people of the US and the Middle East, a common sorrow.